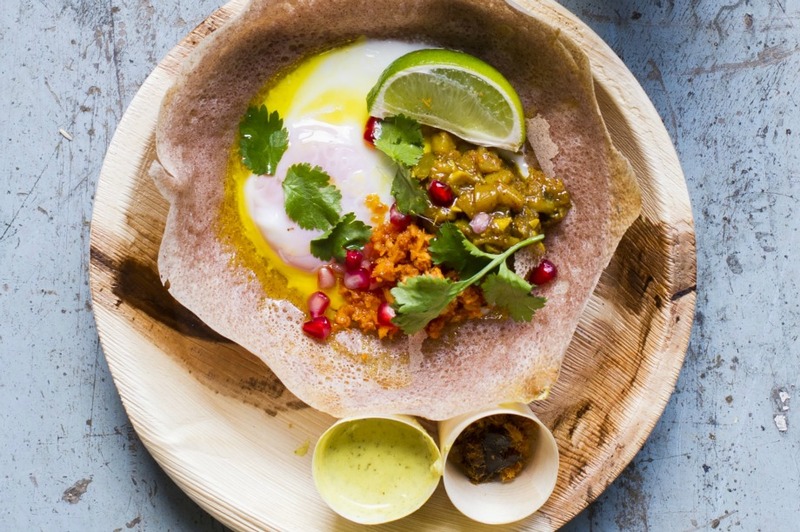 Whether it's a trendy new restaurant, family favourite in the suburbs or street food pop-up, Sri Lankan cuisine is well and truly on Event's radar in 2016. Here is our pick of the best. Hoppers is the latest venture from Karam, Jyotin and Sunaina Sethi, the trio behind Michelin-starred restaurants such as Kitchen Table and Lyle’s. 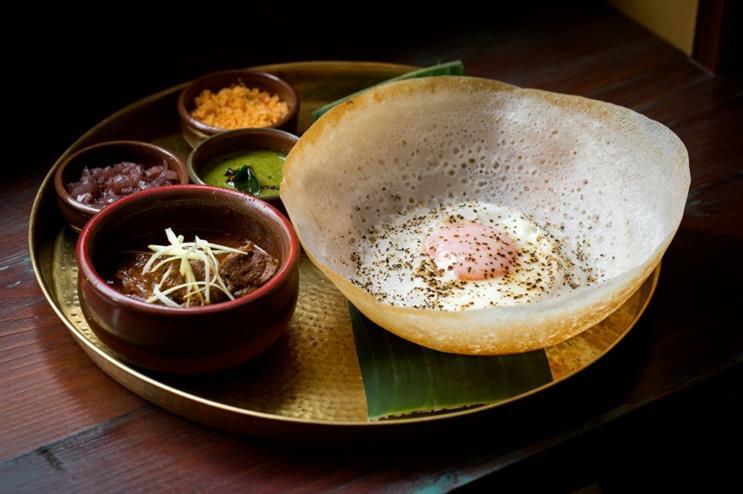 The 36-cover restaurant opened its doors in Soho last October, and specialises in two traditional Sri Lankan street food dishes - hoppers and dosas. The pancake-like dishes are served with either meat, seafood or vegetables and selected accompaniments. The menu also includes a ‘short eats’ section comprising Sri Lankan snacks, and ‘rice roast and kothu’ dishes such as buffalo buriani and tamil spit chicken. Dessert options include Watalapam, a steamed custard made with coconut milk and spices. Situated in London’s southwest, Apollo Banana Leaf prides itself on producing Sri Lankan food ‘the way it is meant to be’. A range of traditional dishes are available here, including chilli masala and masala dosas, meat and onion dosas, chappathi with channa masala sauce, a layered flat bread known as parotta, and kothu, which comprises a Sri Lankan style roti, vegetables and/or meat. Chef Emily Dobbs, who has worked at venues including The Dock Kitchen and Ducksoup, heads up Sri Lankan street food pop-up Weligama. Key to the offering are hoppers, with the menu featuring a pumpkin curry egg option and dhal and spinach variety, among others. Dobbs aims to use fresh, local and organic produce wherever possible, and the chutneys that accompany the main dishes are homemade. Where: Druid Street Market every Saturday from 10am-4pm. Chettinad dishes typical of South India and fusion creations are all available at La Masala in north London. Sri Lankan dishes include potato pirattal, a Ceylon curry that can be paired with either fish, chicken, mutton, chilli crab, prawn, squid or egg, a rice dish known as puttu, as well as hoppers and kothu. The venue is said to be suitable for dining with friends, family and colleagues, whether it be for a special occasion or casual dinner. 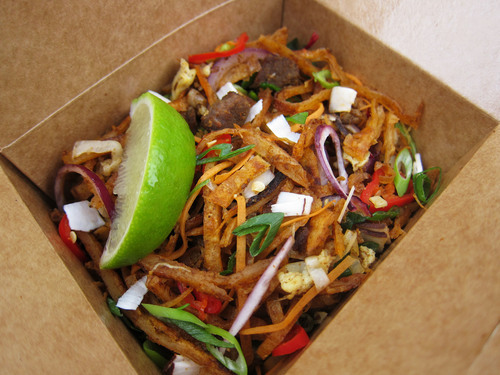 A member of street food organisation Kerb, the Kothu Kothu pop-up was devised after its founder Dhariny noticed that London was missing the traditional Sri Lankan dish, kothu roti. The vendor serves up kothu roti - which includes shredded Godhmaba roti, vegetables, egg, spices and coconut, and is paired with either mutton, chicken or vegetable curry. All options are served with lime, chilli and garlic yoghurt. Where: Various locations around London. The vendor is available to hire for events.